Support American companies and American workers! 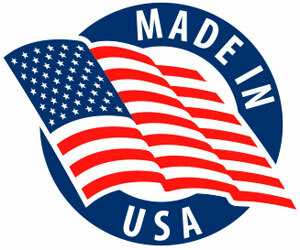 From coast to coast, Americans have created and manufactured some of the most recognizable products on the planet. We salute these tried-and-true products that we have come to rely on. Pre-terminated MTP brand modules can save you time and money by allowing one connector to supply multiple connections into the back of a cassette to fan out into SC and LC connectors. Adaptable to any network, utilizing mainly 12-144 MTP fiber backbone cabling designed to reduce cross-talk and dB loss. Procyon solutions have been carefully constructed and offer a complete system approach that is rarely seen in the industry. High-quality cage nuts and rack screws available. Our cage nut tool allows easier insertion of cage nuts into cabinets and racks. Checkers Industrial products exceed industry standards in cable protection. Advanced Classroom Training Table Collection balances professionalism and practicality in a universal solution. LAN Stations are absolutely perfect for test labs, project work benches, shipping or assembly tables. Compact rack mount fiber distribution units designed to support patching and splicing in one unit. Pre-Adhesive Backed Latch Duct Raceway for Fiber-Optic and Category 5, 5E, & 6 network installations. Open racks, vertical racks, and swing out racks, side mount racks, and portable network telco racks. EIA compliant enclosures to ensure perfect compatibility with other component manufacturers. Building a complete data center or just a single stand-alone server rack with this commercial line. Rackmount shelves in 1U, 2U, 3U configs and even wall mount shelves.